Stephen was born and raised in Austin, Texas, and that means he remembers a time when the traffic wasn’t nearly as bad.Upon graduating from St. Andrew’s Episcopal High School, Stephen went down the road to San Antonio, where he attended Trinity University and earned a Bachelor’s degree in English, and a Minor in Business Finance. Around the time he earned his undergraduate degree, Stephen determined it was in his best interest—and the best interests of Texas grade school students—if he decided against a career in teaching English. Luckily, another opportunity presented itself, and Stephen returned to Austin, where he attended the University of Texas School of Law. While in law school, Stephen served as a Staff Editor and as Articles Editor for The Texas Review of Law & Politics and as a law professor’s research assistant. Outside of the law school, in 2016, Stephen accepted a position as a Judicial Intern under Justice Bland, Place 2, on the First Court of Appeals. There he conducted legal research for the Court, and witnessed first-hand how hard Texas Judges work to administer justice in the Lone Star State. Later, in 2017, Stephen took a position as a clerk in the Offices of the Texas Solicitor General. There, he was privileged to work under the mentorship of attorneys representing the State of Texas at the highest levels. That same year, Stephen also worked as a clerk in the Litigation Division in the Offices of the Attorney General, where he drafted legal motions for the division attorneys. 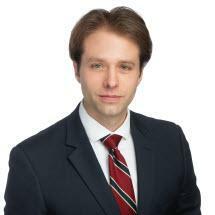 After graduating from law school, Stephen got lucky again when he was given the opportunity to join Wright & Greenhill, PC. Stephen gladly accepted the opportunity, and now he practices and learns alongside some of the most adept trial attorneys in Texas. Lloyd Lochridge American Inn of Court- Student Member, 2016-2017.